San Diego — The National Asphalt Pavement Association (NAPA) announced the winner and finalists of the 2017 Sheldon G. Hayes Award for excellence in construction of an asphalt pavement. The award, bestowed annually since 1971, recognizes the country’s highest quality highway pavements. McCartney Construction Co. Inc. and the Alabama Department of Transportation (ALDOT) were named the winner of the 2017 Sheldon G. Hayes Award. McCartney Construction Co. Inc. won for its work on Anniston Eastern Bypass. McCartney Construction Co. was contracted by ALDOT to build a 3.62-mile section of the Anniston Eastern Bypass, also known as State Route 901. Using 123,176 tons of asphalt mixture, the company constructed a four-lane divided highway with turn lanes on the highway and McClellan Boulevard, as well as a four-lane connector at Summerall Gate Road, and rehabilitation of the northern-most mile of the project where there was existing pavement and traffic. McCartney Construction used several technological innovations to ensure the Anniston Eastern Bypass met ALDOT’s and the driving public’s expectations for quality. High-tech GPS-based modeling was used to provide the specific grades and slopes specified by ALDOT engineers. Also, a vehicle-mounted inertial profiler was used to check pavement smoothness in real-time. McCartney Construction also received notice for designing the road’s asphalt mixture with 25 percent reclaimed asphalt pavement (RAP), an environmentally friendly, cost-effective choice. Finalists for the award were Lindy Paving Inc. and the Pennsylvania Turnpike Commission for work on I-76 in Allegheny County; and Walsh & Kelly Inc. and the Indiana Department of Transportation for US 41 in St. John, Indiana. The Sheldon G. Hayes Award winner and finalists are determined through a two-year evaluation process. 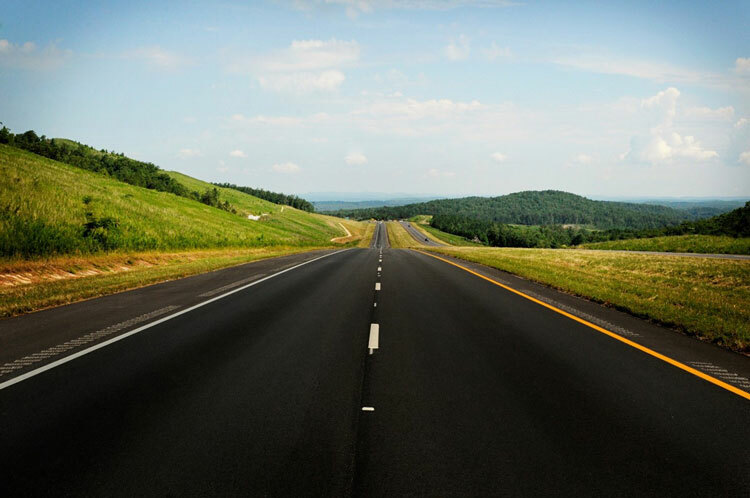 All highway pavement projects using more than 50,000 tons of asphalt are eligible for consideration. Initially, the project must win a Quality in Construction (QIC) Award, which is determined by numerical scores given by pavement engineers at the National Center for Asphalt Technology (NCAT) on the basis of how well the contractor met specifications and achieved density on the finished pavement. All the pavements that meet a benchmark figure earn the QIC Award. At NAPA’s 63rd Annual Meeting in San Diego, the winner and each finalist were presented with an award for their achievement. “The asphalt pavement industry is committed to building quality pavements that deliver high performance and drivability to the public,” said Dan Gallagher, NAPA 2017 Chairman. The award is named for Sheldon G. Hayes, a founder of NAPA and the association’s first chairman. Hayes spent his entire career striving for better construction techniques and improvements in the quality of asphalt pavements.